Hey everyone! 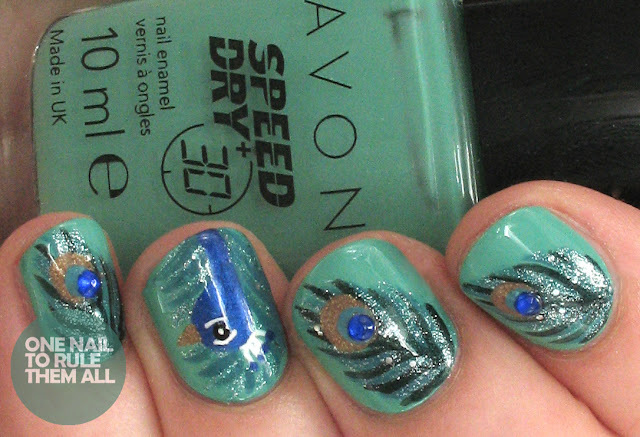 A while ago I created some peacock feather nails for Avon, but I'm just not happy with how they turned out (even if I thought I was at the time). I must admit I didn't really step out of my comfort zone with them and I made them incredibly simplistic. So when Avon asked me to create some more, I knew it was time to try something new and push my boundaries a bit. Turns out.. they're not that difficult! I just expected them to turn out a disaster but all I did was paint a few flicks, add a bit of glitter, and a stud, and they looked like peacock feathers ... easy peasy. The peacock itself was also relatively straightforward. In fact, if you want a tutorial to create these yourself, or info on colours used, just click after the jump! P.S. I've entered the Cosmopolitan Blog Awards again for 'Best Beauty Blog'. I'd really appreciate your nominations (if you think I deserve them) you can vote here. Those look amazing! ! :) The peacock is perfect! Wow! 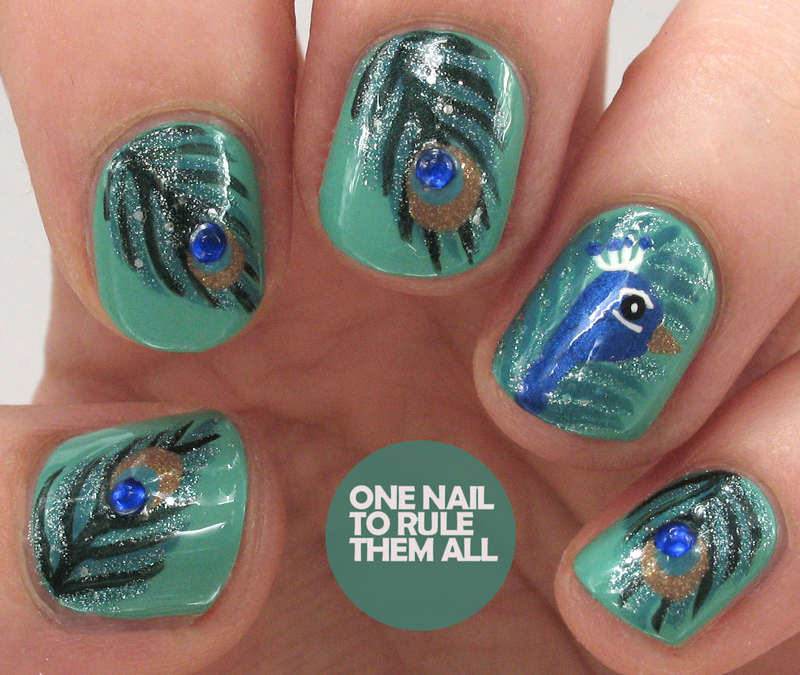 Very nice peacock manicure! Thanks for the tutorial, i will try it!